We’re just about to implement some compost-powered root-zone heat systems for a small, indoor plant nursery and the new high tunnel. These are the best references I came up with on researching the implementation of compost powered root-zone heating systems for greenhouses or other closed growing environments. 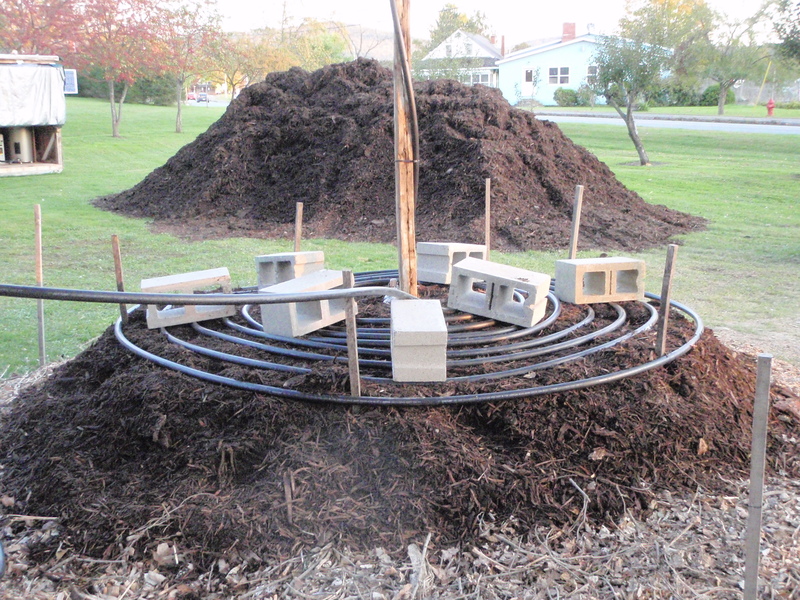 Cornell Small Farm’s energy research compost pile.